Make sure to scroll down after my rating – there’s an awesome bonus thing about this book! Published 4th June 2015 by Hodder. Goodreads Synopsis: Sixteen-year-old Delilah is finally united with Oliver—a prince literally taken from the pages of a fairy tale. There are, however, complications now that Oliver has been able to enter the real world. To exist in Delilah’s world, Oliver must take the place of a regular boy. Enter Edgar, who agrees to take Oliver’s role in Delilah’s favorite book. In this multilayered universe, the line between what is on the page and what is possible is blurred, but all must be resolved for the characters to live happily ever after. My Review: A few years ago, my dad passed me the proof copy for Between the Lines, a book he thought I might like because it was about story characters coming to life. I LOVED it. I wanted more! Coincidentally, a few days after I finally bought a finished copy of Between the Lines only a few weeks ago, I was emailed about reviewing the sequel. How I had missed that news before, I have no clue. Needless to say I have never responded to an email faster. Admittedly it did take me a little while to become properly engrossed in the story, but once I was, I didn’t want to stop reading. The plot progresses brilliantly, with some twists and turns I couldn’t guess were coming. The ending was really satisfying and actually made me tear up a tiny bit! Just as Between the Lines was, Off the Page was superbly written – a blend of humour and heart that’s hard not to fall in love with. Mother and daughter duo Picoult & Van Leer are both so talented and I love their writing – I would love to read more from both in the future, collaborative or not! There’s something about Off the Page that I can’t quite define. It, along with the first book, just seems to stand out against the rest of its genres – feeling like an old classic, but upbeat and modern too. They seem to be very popular in the US , so I really want to spread the love for them over here in England! Overall, Off the Page was a fantastic companion novel that I highly recommend – whether you have read Between the Lines or not. The beautifully crafted contemporary world with a fantasy twist will certainly appeal to fans of Inkheart by Cornelia Funke! Whether you’re looking for a gripping fantasy story, or a beautifully written romance, Off the Page is perfect. 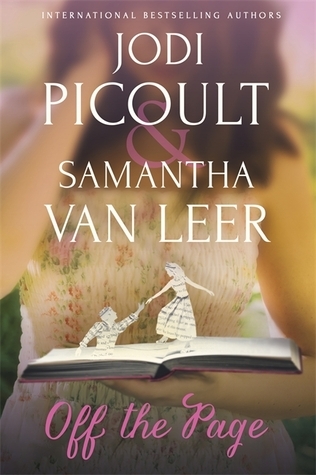 I can’t wait to read more from Picoult & Van Leer in the future – it was sad to see this story finish! The words on the front cover animate a spiral off the page, then the book characters bursting off the page literally do jump off the page. Through your phone or tablet, you can watch them dance around – and flip your camera to take a selfie with them! 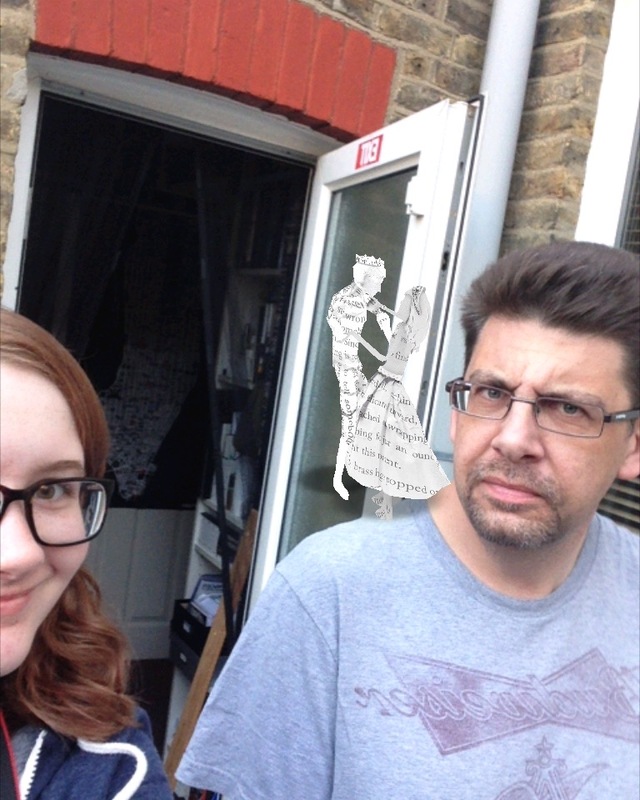 Here’s dad looking baffled because technology. I received a copy of Off the Page from the publisher, in exchange for a review. In no way at all did this affect my thoughts. This entry was posted in Uncategorized and tagged between the lines, contemporary, fantasy, friendship, jodi picoult, love, off the page, romance, samantha van leer on August 6, 2015 by keithbwalters. It’s really great, I hope you like it as much as I did!